Doyin Okupe, a former aide to the immediate past President Goodluck Jonathan, has declared as invalid the nomination of President Muhammadu Buhari as the presidential candidate of the All Progressives Congress, APC, ahead of the 2019 general elections. 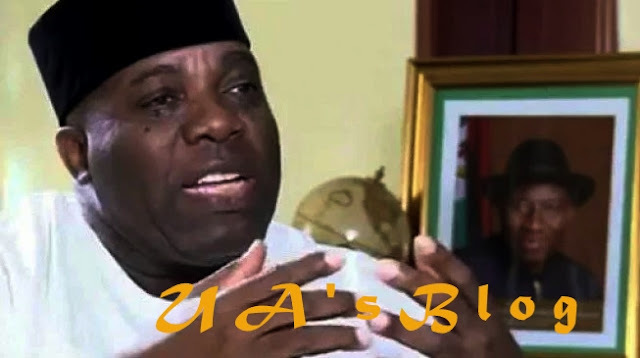 Okupe, a diehard supporter of the presidential candidate of the Peoples Democratic Party, PDP, Alhaji Atiku Abubakar, stated this while responding to questions from journalists yesterday on the chances of the PDP and APC in 2019. Okupe, who has turned out to be a critic of the current government, also wondered why Buhari has refused to sign the Electoral Act amendment Bill. Okupe said, “Actions and activities of the Independent National Electoral Commission (INEC) are being dictated directly from the villa. “If that is not the case, by now if the INEC Chairman was a truly independent person, he ought to have conveyed message to APC and the villa that they do not have a candidate for the 2019 presidential election. “As of today, the nomination of President Buhari is not valid. To be nominated for an election, there are some conditions that must be met as provided by the Constitution and the Electoral Act. Number one, you must be a Nigerian. “Now, there are issues that were even confirmed by the President himself in Poland that there is doubt about his nationality, whether he is a Nigerian or a Sudanese. “If I falsely swear to an oath that I am seven feet tall and measurement shows I am not that tall, I have simply committed perjury. “Buhari is not a candidate for 2019 presidential election and the facts speak for themselves. By the action of Buhari to have gone to WAEC for an attestation showed that he knew that his certificate was never with the military and he swore to an oath falsely. That itself is ground for disqualification of nomination of any candidate.